What Kind of Human Being Do You Want To Be? McFarlane, Ronn, 1991. Lute Music of John Dowland. Dorian DOR-90148. 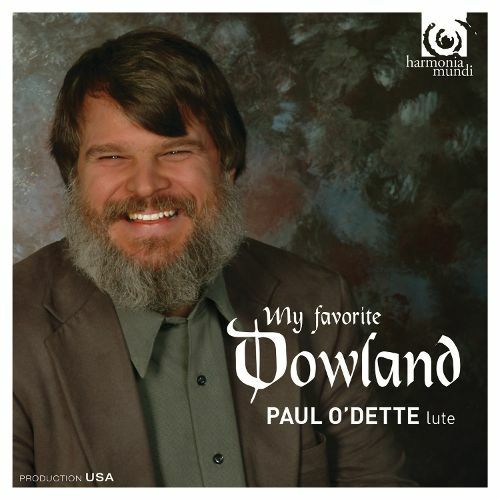 Paul O’Dette recorded an album of lute music by Dowland and William Byrd for Nonesuch in 1979*, but I believe it was only ever released on vinyl. His first CD dedicated solely to Dowland is John Dowland: Musicke for the Lute (Auvidis-Astrée E 7715). It was recorded for the French label Astrée in 1983 on an 8-course lute by Paul Thompson, more than a decade before he recorded his monumental Dowland cycle for Harmonia Mundi. This fine recording was the second recording of Dowland’s music I acquired. O’Dette’s deep involvement in Dowland’s œuvre and careful selection and programming are already apparent here. 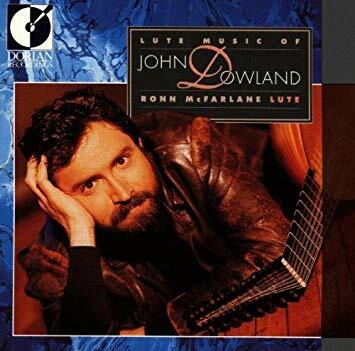 Ronn McFarlane‘s 1991 release Lute Music of John Dowland (Dorian DOR-90148) was the first lute recording I bought, which I wrote about briefly here in the first article in this series. This CD is high on my list of favorite lute albums. I will never forget how McFarlane’s performance of Piper’s Pavan brought tears to my eyes the first time I heard it. Many of the monuments are here (The Earl of Essex Galliard; Lachrimae; Semper Dowland, Semper Dolens) as well as a selection of toys, fantasies, ballad tunes, and other pavans and galliards, played on an 8-course lute by Andrew Rutherford. The recording is rich and bright, and the pacing and order of the selections demonstrates the wide variety of moods in Dowland’s music to great effect. Smith, Hopkinson, 2004 & 2005. Dowland: A Dream. Naïve E 8896. After decades of focusing primarily on the repertoire for baroque lute in his many superlative recordings for Astrée, Auvidis, and Naïve, the American lutenist Hopkinson Smith recorded his first dedicated Dowland recital on disc when he was in his late fifties. (O’Dette was in his twenties when he recorded his first recital disc, and McFarlane was in his thirties.) Dowland: A Dream (Naïve E 8896.) was released in 2005. A lutenist can’t help but be fascinated by the lyrical world of melancholy and mirth. His message is intensely personal, – we all find something of ourselves therein. 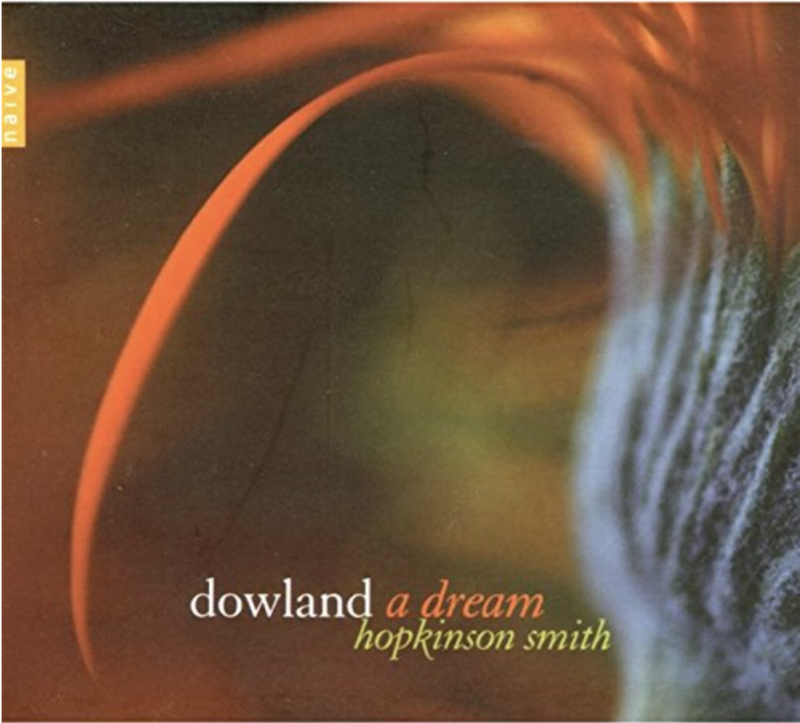 Like many of his other recordings and as he describes Dowland’s message, Hopkinson Smith’s Dowland foray is also intensely personal, and not to be missed for anyone seeking to get to the heart of this music. Smith titled the album after a piece of the same name. On this recording he plays an 8-course instrument by Joel van Lennep. Some doubts remain about the authorship of the pavin called “A Dream”, but it is certainly worthy of Dowland. A dream can be many things: the passage to another world, hope, a whole spectrum of sensations between darkness and light…Giving this title to the program is meant as an invitation to penetrate the world of the inner senses that is the domain of the lute in general and has an added personal intensity in the music of Dowland. O’Dette, Paul, 2014. My Favorite Dowland. Harmonia Mundi HMU 907515. This disc would make a great introduction to Dowland for one encountering his music for the first time – the selections, performances, and recording are impeccable. For students of the lute, the opportunity to study and compare the performances on O’Dette’s seven discs of Dowland’s solo music recorded across three decades of his career is unparalleled in the legacy of any other lutenist. These are the single-disc CD releases dedicated solely to Dowland that I am aware of – not including Lindberg’s Selected Lute Music (excerpted from his complete edition) and individual volumes of the complete editions by O’Dette and North, which were released sequentially as individual CDs before being collected together in box sets (see Part I of this appendix). 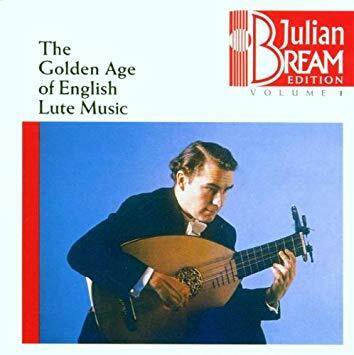 Long before the advent of the compact disc, English guitarist and lutenist Julian Bream (b 1933) recorded a number of albums including music by Dowland which were subsequently released on CD. Bream is widely esteemed as one of the greatest guitarists of the 20th century, and he explored and enlarged the repertoire for classical guitar (in a large part through commissions) to an extent rivaled only by Segovia. Although the instruments and technique he used for his lute recordings do not reflect contemporary attitudes to historical lute performance – the strings on his lute were strung in parallel in the manner of a classical guitar rather than fanned out at the bridge like a lute in order to accommodate his right hand guitar technique, which included the use of nails; his frets were inlayed rather than tied, etc. – Bream’s musicianship is superb and many of these performances are very fine. From a historical standpoint, Bream’s recordings are vital for understanding contemporary lute performance practice. Even though so much importance is placed on the evidence of original sources in historical performance attitudes, there are some aspects of performance that cannot be gleaned from them. I take it for granted that most of today’s lutenists born in the 1950s who went on to perform and record (and are referenced in this appendix and throughout this series) were familiar with Bream’s recordings. To at least some extent, examples Bream set in his recordings about aspects of this repertoire’s performance (e.g. tempi, phrasing, voicing) influenced in turn the decisions these musicians made, even if only unconsciously. When I studied with Pat O’Brien in the early 1990s, he referred to Bream’s recordings during several lessons. Unfortunately, Bream’s recordings can be hard to come by – many are out of print, and if you are lucky enough to come across one for sale on the internet it is likely to be expensive. Volume 1: The Golden Age of English Lute Music (RCA Victor/BMG Classics RCA 61584) includes works by an assortment of Elizabethan masters including 8 pieces by Dowland. Volume 2: Music from the Royal Courts of Europe* is a survey of 16th century lute pieces from across the continent, including Dowland’s Queen Elizabeth’s Galliard, Forlorn Hope Fancy, and the duet My Lord Willoughby’s Welcome Home. Volume 3: Dances of Dowland* is an entire album devoted to Dowland’s pavans, galliards, almains, and toys. 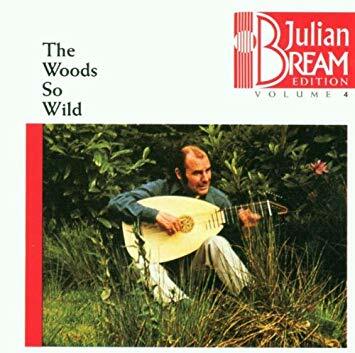 Volume 4: The Woods So Wild (RCA Victor/BMG Classics RCA 61587) is a unique juxtaposition of works from both the early and late renaissance lute repertoire. A selection of Elizabethan pieces by Francis Cutting, Anthony Holborne, and 7 pieces by Dowland are interspersed with 8 pieces by Francesco da Milano. One can imagine Bream sitting at home browsing through his favorites to compile this album, which I imagine contains many pieces in the personal repertoire of most lutenists today (including this writer). If you can only manage to get hold of one CD of Bream playing lute, get this one. Volume 17: Two Loves: A Sequence of Poetry and Music (RCA Victor/BMG Classics RCA 61600) by William Shakespeare and John Dowland pairs Bream with Dame Peggy Ashcroft. As one might expect, this recording features a selection of Dowland pieces selected and perfumed by Bream alternating with selections from Shakespeare’s plays and poems. The selections are artfully arranged – a lovely recording, and refreshingly conventional and unconventional at the same time. Julian Bream Plays Dowland and Bach* is a Deutsche Grammophon reissue of mono recordings from the 1950s originally released on Westminster. The 2 CD set includes 14 solo lute pieces by Dowland, 20 of Dowland’s lute songs (with several singers), and selections by J.S. Bach. Published in 1610 by Robert Dowland, A Varietie of Lute Lessons contains – according to the title page – “Fantasies, Pavins, Galliards, Almaines, Corantoes and Volts: Selected out of the best approved AUTHORS, as well beyond the Seas as of our owne Country. By Robert Douland.” It has long been assumed by scholars that Robert Dowland must have had some assistance from his father in compiling this collection and producing the publication – he was 19 in 1610. If we consider the lives and positions of both father and son, it does seem very likely to me that the publication was a joint one, perhaps principally the work of the father, John Dowland, but published more as the son’s work as a paternal way the help Robert in his career. Varietie includes lute pieces by a diverse assembly of composers that may very well have been collected by Dowland the father over the course of his international travels, and then bequeathed to his son for publication. The collection may actually represent John Dowland’s “gig book” at a certain point in his career. There are three recitals on CD of pieces selected from this print (that I am aware of). Seven pieces are attributed to John Dowland in A Varietie of Lute Lessons: a fantasy, a pavin, and five galliards. In addition, three other pieces are also by John, two Almaines (not attributed) and The Right Honourable the Lady Cliftons Spirit (attributed to Robert). My choice of pieces for this recording was largely instinctive. It wasn’t possible to record all 42 pieces, so I chose the ones which spoke to me the most at the time, with a view to representing all styles and genres of the book. Jakob Lindberg chose to record the versions of Dowland’s ten pieces printed in A Varietie of Lute Lessons for his John Dowland: The Complete Solo Lute Music, as described in the previous article in this appendix. 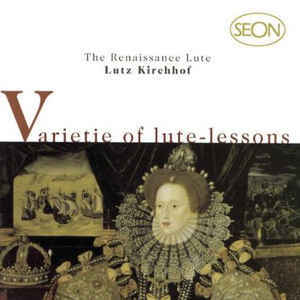 German lutenist Lutz Kirchhof (b 1953) released Varietie of lute-lessons (SEON/Sony SBK 60098) in 1982 – the CD in my collection is a rerelease of this album that Sony Classical put out in 1998. Kirchhof chose eight of John’s pieces for this CD, dispersed throughout the recital. The sequence of the program is well-constructed. Kirchhof chooses quick tempi in general and his performances are accurate and musical, if a bit more metrically precise (and lacking rubato) than recordings of Dowland made by other lutenists in later decades. Kirchhof shows a lot of flair in his supple ornamentation of the unattributed voltas on this disc! Recorded for Linn Records in 1998, Nigel North‘s A Varietie of Lute Lessons (Linn Records CKD 097) recital is performed on a 9-course lute by Paul Thompson, 1996. This CD is my favorite of the three recordings drawn from this collection, for every reason: the selection and sequence of the pieces; the warm, luminous performances; the lush intimacy of the recording. 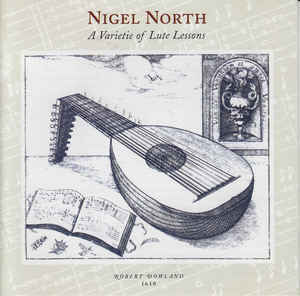 North contributes an insightful and comprehensive essay to the liner notes as well, which he opens by confessing his deep personal attachment to this music: “The Varietie of Lute-lessons was the very first collection of lute music that I ever saw and played.” It is wonderful to have this additional insight into North’s approach to Dowland, recorded a few years before he began his complete Dowland project. 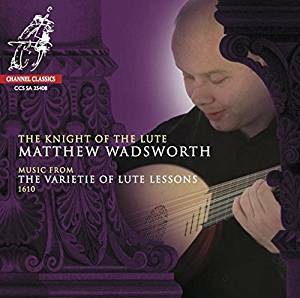 The English lutenist Matthew Wadsworth, who studied with Nigel North at the Royal Academy of Music in London in the late 1990s, recorded The Knight of the Lute: Music from The Varietie of Lute Lessons 1610 on a 10-course lute by Klaus Jacobsen, 1988 in 2006-2007, and it was released by Channel Classics in 2008. Wadsworth, Matthew, 2009 The Knight of the Lute: Music from The Varietie of Lute Lessons 1610. Channel Classics CCS SA 25408. This fine Varietie of Lute Lessons recital includes five of father John’s pieces in pride of place, even though the disc is named for another composer. John’s pieces bookend the disc at beginning and end, and are interspersed at intervals between all of the others chosen. It was recorded at The National Centre for Early Music in York, in the centre’s site St. Margaret’s, a medieval church. The sound of the recording presents the lute beautifully, somehow conveying both the ambience of the room and the warm resonance of Jacobsen’s instrument – not an easy feat. This sound image conception lies somewhere in the middle between that of Lindberg’s BIS recordings and McFarlane’s Dorian discs. The performances are on the slow side in comparison with some of the other Dowland recordings, but only a little – allowing Wadsworth slightly more room for his expressive interpretive approach. It is clear that North passed on his affection for this collection to Wadsworth, and wonderful to have a recording drawn from it by each of them. McCartney, Alex, 2015. Elizabeth’s Lutes. Veterum Musica. The number of CDs I have come across featuring music by a variety of composers that include works by Dowland (besides the Varietie of Lute Lessons discs) is in fact small. There are a number of reasons for this – for one thing, the predominant practice with lute recordings is to release CDs dedicated to music by a single composer. There are exceptions, of course, including discs devoted to specific manuscripts or style periods, or other concepts. By and large, recitals featuring a survey of lute pieces by different composers are not that common. Ronn McFarlane’s The Renaissance Lute ( Dorian DOR-90186) is just this sort of exception: a general survey of solo lute pieces released in 1994 on Dorian. One piece – Forlorn Hope Fancy – represents Dowland’s work alongside pieces from the Attiaingnant 1530 print, and a broad selection from composers including William Byrd, Hans Judenkünig, Hans Newsidler, Luis Milan, Alessandro Piccinini, Valentin Bakfark, Joanambrosio Dalza, Francesco da Milano… incidentally this disc is an excellent introduction to the renaissance lute repertoire for the uninitiated. Similarly, Lutz Kirchhof includes at least one piece by Dowland in his survey recital The Lute in Dance and Dream: Three Centuries of Lute Masterpieces* (1992). Masters of the Lute, a 2006 collection of works for lute and theorbo by Matthew Wadsworth, includes six pieces by Dowland alongside tasty selections by Francis Cutting, Kapsberger, Piccinini, Robert de Visée, and Biber. Wadsworth also includes works by Dowland on Late Night Lute* (2017). 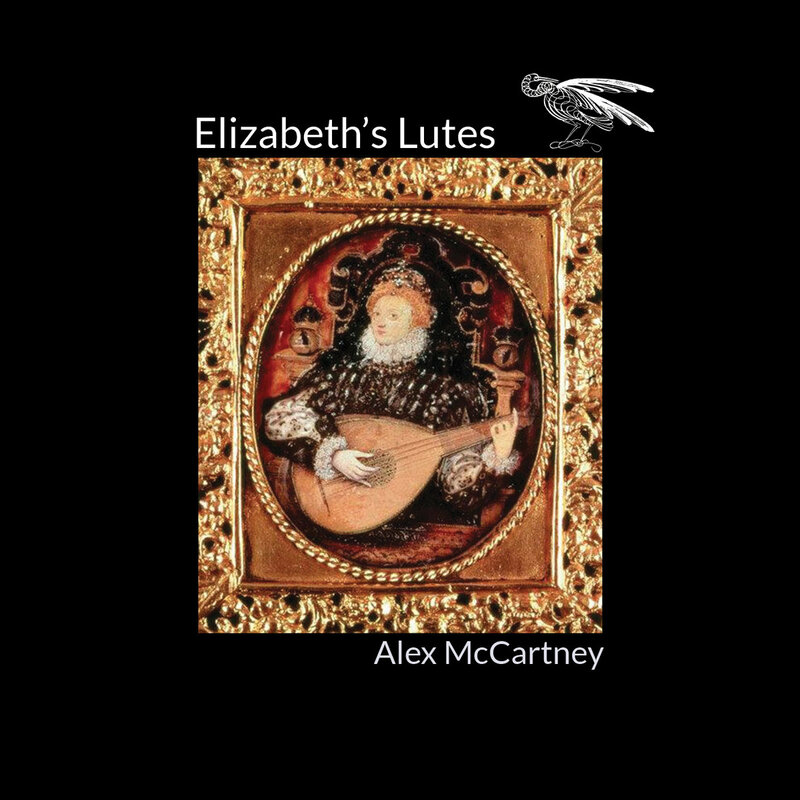 UK lutenist Alex McCartney includes a Fancy by Dowland on Elizabeth’s Lutes (Veterum Musica, 2015), an intriguing recital of music by Dowland and his contemporaries that departs from the usual hit numbers. Another source for recordings of Dowland’s solo lute pieces is on recital discs of his lute songs: it is a common practice for lutenists accompanying singers on these recordings to also be featured in a few choice solos between songs. I have many recordings of Dowland’s lute songs in which this is the case, many by the lutenists referenced above. But alas! – describing these is beyond the scope of this appendix. By walterbitner in Early Music, Music, The Lute on November 29, 2018 .